The Biennale of Sydney today announced Mami Kataoka as the Artistic Director of the 21st Biennale of Sydney to be held in 2018. Mami Kataoka, the acclaimed Chief Curator at the Mori Art Museum (MAM) in Tokyo, is the first curator from Asia to be appointed as Artistic Director of the Biennale of Sydney. 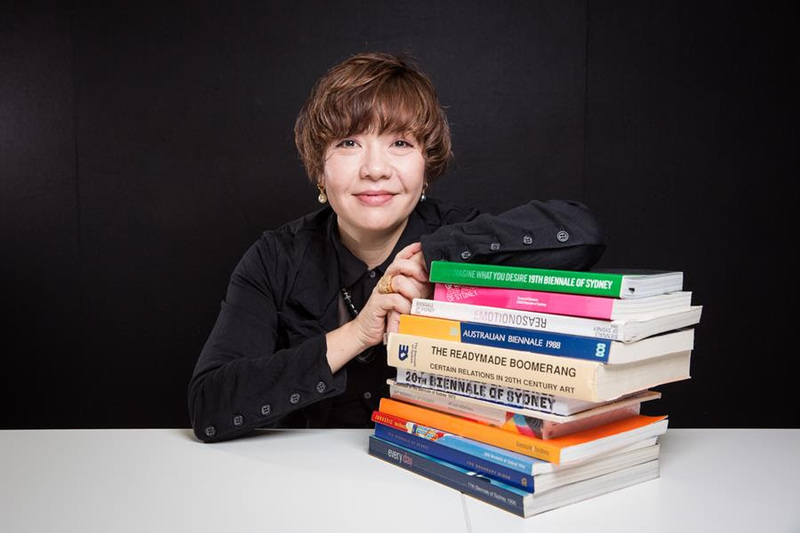 No stranger to Australia (having been one of thirteen eminent international advisors to this year’s 20th edition and with strong connections to local curators and artists), Ms. Kataoka is a key figure in analysing socio-historical and generational trends within Japanese and Asian art. Mami Kataoka says: “I am honoured to be appointed Artistic Director of the 21st Biennale of Sydney in 2018, especially being the first from Asia since the Biennale’s inauguration in 1973; this means a lot to me and hopefully to the region. I am especially interested in the role that the Biennale has played in bringing international contemporary art, artists and art curators to Australia for more than 40 years. Australia and the city of Sydney are multicultural, with a number of contemporary art institutions active internationally. As Artistic Director I am interested to ask how we can test the Biennale’s significance given the growing understanding of multiple modernities; the many socio-political contexts and accelerated complexities in the world conditions today. I am thrilled to work together with great artists from Australia and around the world for the coming Biennale to find ways to engage in depth with its history, diverse communities and contexts. Mami Kataoka has been the Chief Curator at the Mori Art Museum (MAM) in Tokyo since 2003 where she has curated numerous notable exhibitions including ‘Roppongi Crossing’ (2004, 2013); ‘Sensing Nature: Perception of Nature in Japan’ (2010); as well as major survey shows of prominent artists in Asia such as Tsuyoshi Ozawa, Ai Weiwei, Lee Bul, Makoto Aida, Lee Mingwei, and N.S. Harsha (upcoming). Between 2007 and 2009, Ms. Kataoka was the International Curator at the Hayward Gallery in London, during which time she curated ‘Laughing in a Foreign Language’ (2008) and co-curated ‘Walking in My Mind’ (2009). She was Chief Curator at Tokyo Opera City Art Gallery from 1998 to 2002. Currently she serves as a board member of CIMAM, a member of Guggenheim Museum Asia Art Council and an advisory member for Ullens Center for Contemporary Art in Beijing. Ms. Kataoka frequently writes and lectures on contemporary art in Asia. She is a professor at Kyoto University of Art and Design Graduate School.